Kansas drivers who wish to apply for a Commercial Driver’s License (CDL) must be at least 18 years old to drive in the state. For applicants who wish to drive interstate, they must be 21 years or older. Drivers who have an OUI while operating a commercial vehicle within the last 2 years cannot apply. Applicants are required to have a valid driver’s license upon application and be physically fit to drive or travel. Applicants are required to undergo a physical examination from a DOT approved physician. If you meet any of the prerequisites mentioned, then you can go to any of the 11 Commercial Driver’s License location and apply for a CDL during working hours. No appointment is needed to take the written exam. You must bring your DOT certificate, valid driver’s license, social security card, and birth certificate or proof of residency. After you pass the vision screening, written general knowledge and any specific endorsement tests, you will be given a Commercial Instruction Permit. This will allow you to practice driving a truck with the presence of an individual with a valid CDL. To ensure that you get the needed practice and experience to pass the driving tests, we suggest that you enroll in a commercial truck driving school or program. The driving test is composed of three parts. Applicants will be tested on pre-trip inspection knowledge, basic control of the vehicle, and actual driving on the road. Take note that the vehicle that will be used for testing must not have the components marked or labeled. Applicants will be tested on their knowledge of the vehicle and driving skills. 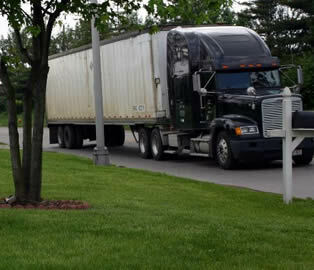 A CDL will be issued upon passing the road skills test. When you receive a CDL in Kansas it is only valid for 4 years and must be renewed in person. Like most states, Kansas drivers licenses are also categorized as Class A, B, and C.
The Apex CDL Institute is one of the best truck driving schools in the state of Kansas. It offers top-quality truck driver training and career development for those who are looking to start careers in the transportation industry. With their 3-week program, students can get trained and get back to work as soon as possible. The Institute uses only modern equipment, experienced instructors, and a first class teaching facility to ensure that the students receive top-quality instructions. To get a Kansas Commercial Driver’s License you will have to learn some of the basic concepts about driving a truck first and you also need to pass several tests to determine your fitness for the job. Basically, those who have a CDL are the only ones who are allowed to drive commercial trucks in the United States. So if you are striving for this type of work, then it is important that you acquire a CDL first. The process can take months but the resulting license will allow you to work on a growing industry that pays well. 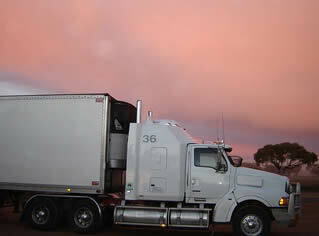 In order to get a CDL, you should at least be of legal age. This means that you have to be 18 years old at the time that you apply for the license. You have to be 21 years old however, if you are planning to drive on interstate roads. You also need to have a current driver’s license and one which has a clean driving record. You will not be allowed to apply for a license if it has been revoked or cancelled due to some traffic violations and other types of felonies. Aside from this, you also need to be physically fit to do the job. In order to prove this, you have to request for a DOT medical form from your local driver’s licensing office. You have to go to a DOT approved medical professional in order to have this form filled out. Your vision as well as your visual range also has to be checked. You need at least a 20/40 vision in a normal or corrected condition in order to apply for a CDL in Kansas. If you fail the medical certification, you will not be able to apply even for the initial written exam. The next requirement is a written test where you will be examined for basic driving skills and road signs. You therefore need to have a good grasp of the English language and some math skills for the test. To apply for this test, you will need to submit some forms of identification such as your social security number, your birth certificate, current driver’s license and others which shows your picture and a specimen of your signature. You will also undergo some history checks on your license to determine whether you have been convicted of serious traffic violations in the past. If you pass the written exam, you will be given a temporary permit to drive a commercial truck as long as you are accompanied by a licensed individual. This is your time to practice and enhance your driving skills as a preparation for your road test. Once you decide that you are ready to take the actual driving test, you then proceed to your BMV office and pay the corresponding fees. You will then be tested on pre-trip inspection, basic driving skills, and driving in actual traffic conditions before you will be handed a Kansas Commercial Driver’s License. You have to pass all of the tests in order to acquire the license. Visit this directory page to find truck driving schools in KS if you need help learning the skills required to pass the driving exams.